I like like you on facebook. And I “like” you on facebook! (same name) 🙂 Thanks! Thanks for the giveaway. What a CUTE card!! Love your site! Hope I win! Love your site and your match ups! Oh, I so hope I win! We’re in the waiting stage of the adoption process, and I’d love to save some on a carseat! I would love to win this, thank you for the chance. Woud LOVE to win a Target gift card!! It would be AWESOME to win this Target gift card! Thanks! Thanks for the great giveaways. They are so fun. You have the cutest Target cards! Hope I win one!! Please enter me, I love your site! I don’t just like Totally Target on facebook… I love it!! 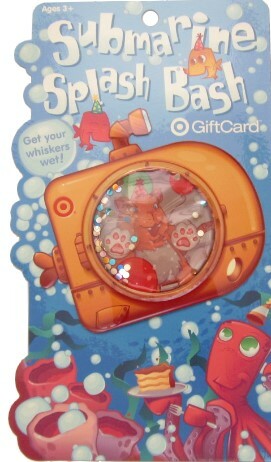 Love Target giftcards… so many ways to spend it! Thanks for the giveaway! Thanks for the opportunity! I hope to win :)! Hooray, another chance to win. Love this site! Hope to win. Cute! And who wouldn’t love a Target giftcard? I liked u on FB too! That is so cute! I would love to win! I love target very much!